The Greene Central School District Board of Education is pleased to announce that it has invited two candidates to interview for the position of Superintendent of Schools. Both of these candidates will tour the district, meet staff and students during the day and then introduce themselves and answer questions from the wider school community during a forum open to the public in the Greene Central School Auditorium in the evening on April 9th and 10th from 5:30 p.m. - 6:30 p.m. The Board of Education began the search process in October of 2018 with DCMO BOCES District Superintendent Perry Dewey leading the search. During this time the Board of Education asked for input in identifying key characteristics that the learning community was looking for in its new leader. A brochure was then developed to highlight the district and a formal invitation to apply was widely distributed. The Board of Education has selected these two candidates as finalists after a rigorous screening and interview process. Mr. Timothy Calice lives in Greene, New York and has nine (9) years of experience as a school administrator. 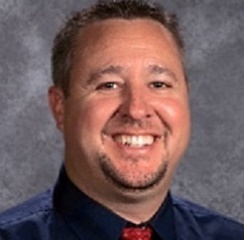 Mr. Calice is currently employed as the Middle School Principal at the Greene Central School District and will be interviewing on April 9th. The public forum will be from 5:30-6:30 p.m. in the Greene Central School Auditorium. Ms. Tina Lane lives in Pulaski, New York and has eleven (11) years of experience as an administrator. Ms. Lane is currently employed as the Assistant Superintendent for Instruction at Oneida City School District and will be interviewing on April 10th. The public forum will be from 5:30-6:30 p.m. in the Greene Central School Auditorium.